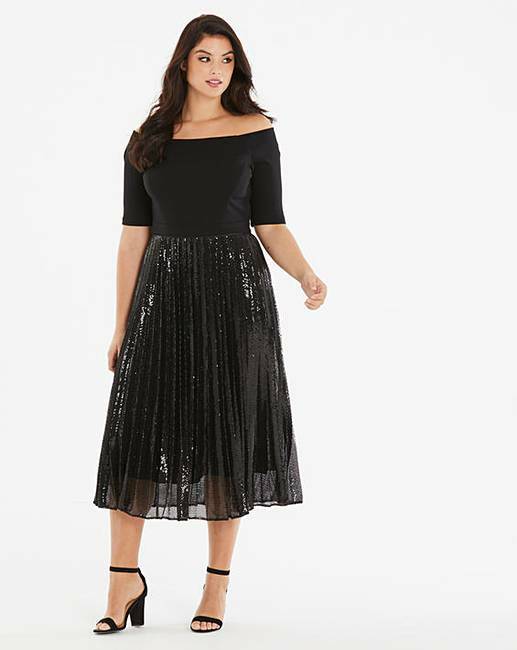 Introducing your favourite new LBD: the Mirabeau Sequin Dress from Coast Curve. 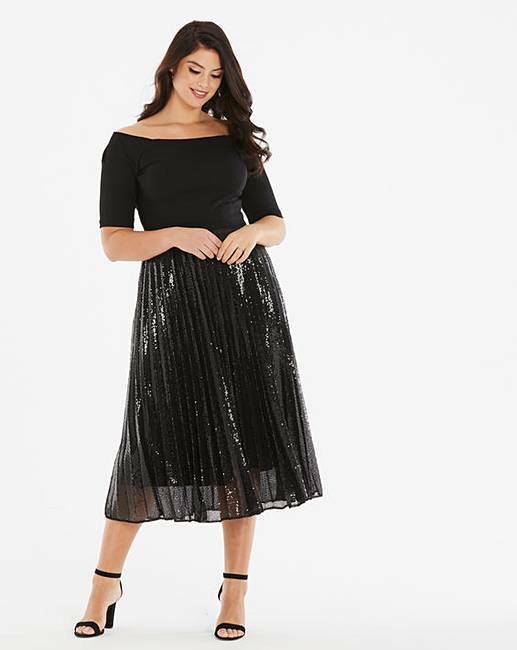 With a flattering bardot neckline, cropped sleeves and pleated sequin skirt, it's all set to be the dress you'll turn to again and again. Main: 80% Polyester, 20% Elastane. Lining: Polyester.